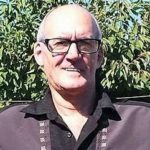 Bruce Letz of Kamloops BC, born on May 28, 1951 in Edson, Alberta, passed away suddenly in Kamloops on May 3, 2018 at 66 years of age. Bruce is survived by his daughter Becki Rose Taylor (Brad), his mother Dorothy Letz, brother Doug Letz, sister Leslie Maydaniuk (Ken), and by two grandchildren, Kurtis and Cherelle. He was predeceased in 2016 by his father, Philip Letz and by his brother, Blain Letz, in 1982. Bruce achieved his high school education and then worked with heavy equipment with his Dad, Phil’s Backhoe. He was a member of the Anavets, and Bruce enjoyed the outdoors, fishing, hunting and camping. With Deepest Sympathy on your loss of Bruce. Cherish your memories that is yours eternally. Rest In Peace Bruce , soar with the eagles .